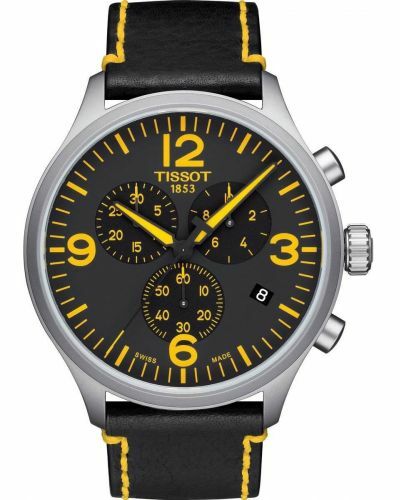 This Tissot Chrono XL watch has a distinctly vintage military feel with several bold features. 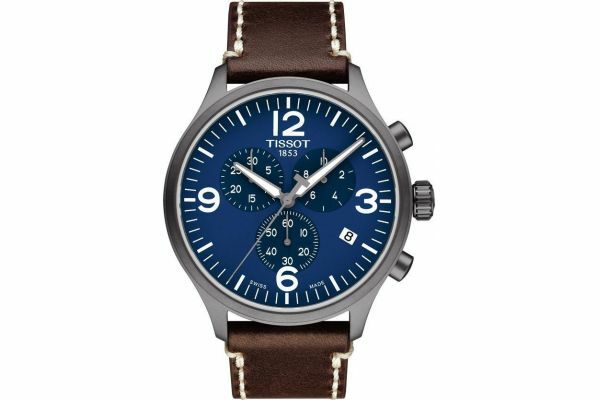 The matte blue colouring to the dial and matte black case is favoured for not being overstated and almost camouflaged. 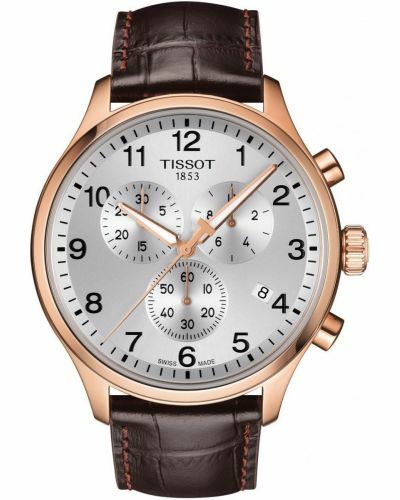 Large luminescent hour markers and the even bolder 12,3,6 and 9 for ease of viewing in low light conditions. 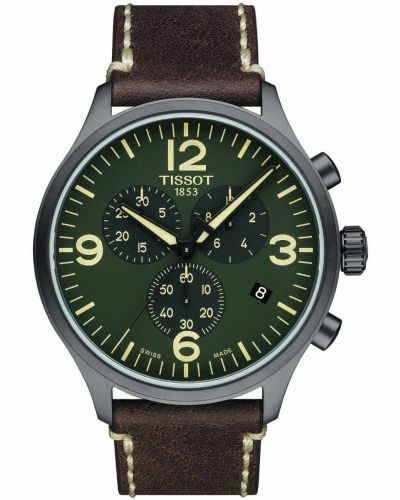 Even the arrow luminescent hands hark back to the original watches made for pilots by many brands during past conflicts. 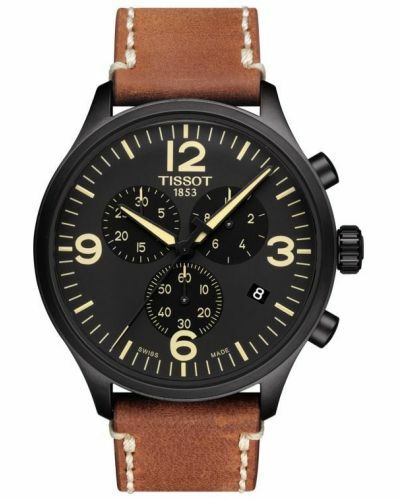 Simple uncluttered chronograph sub dials and even a chunky thick waxed leather strap stitched with heavy guage thread. 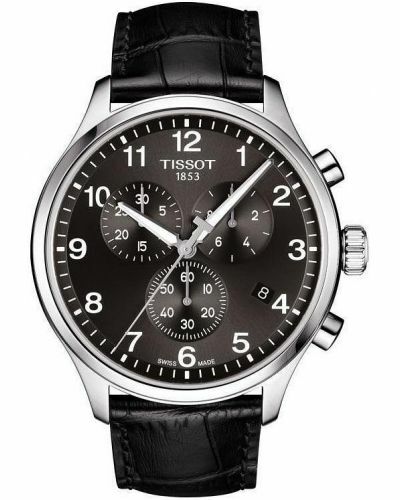 The T116.617.36.047.00 comes with the Tissot 2 year warranty. 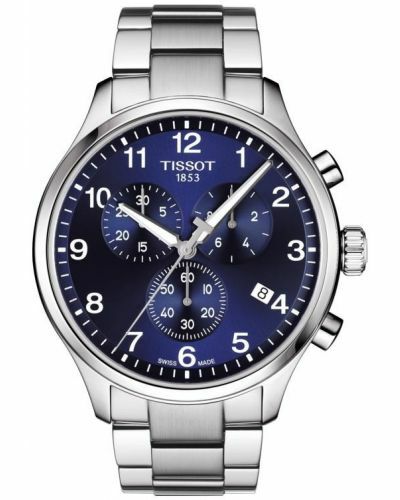 For us to size your new Tissot Chrono XL watch as accurately as possible, please take a look at our downloadable Watch Sizing Guide.